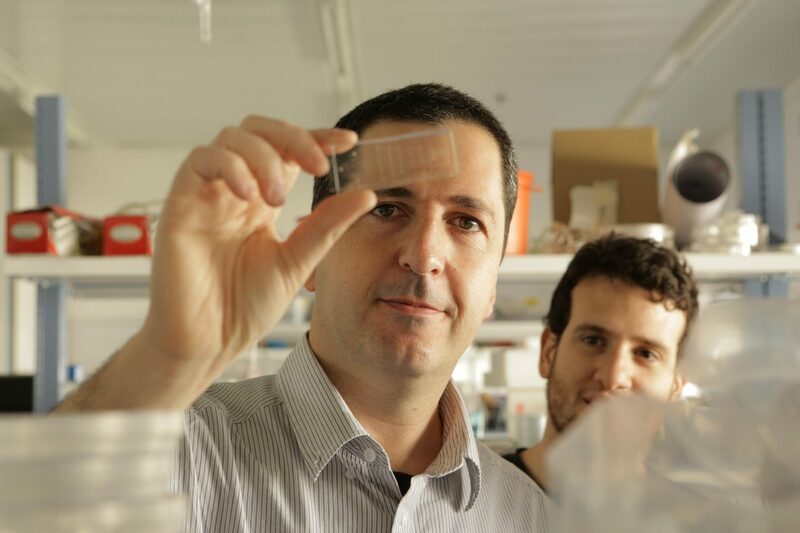 JERUSALEM (JTA) — Israeli biomedical engineer Prof. Yaacov Nahmias of Hebrew University, who created cultured meat technology, was inducted as a fellow of the American Institute of Medical and Biological Engineering. The ceremony was held Sunday in Washington DC. The top two percent of biomedical engineers are accepted to the institute. He is the fourth Israeli ever to be accepted to AIMBE. Nachmias, director of HU’s Alexander Grass Center for Bioengineering, invented Future Meat, the process for lab grown meat that could reduce the need for slaughterhouses and which already has become a topic of conversation in the world of kashrut. Nachmias, 43, also founded Tissue Dynamics, which has created a platform that mimics human biology to provide toxicity and efficacy screening services. This technology will enable thousands of laboratories to study fatty liver disease, viral hepatitis, drug toxicity and liver cancer at a much lower cost.